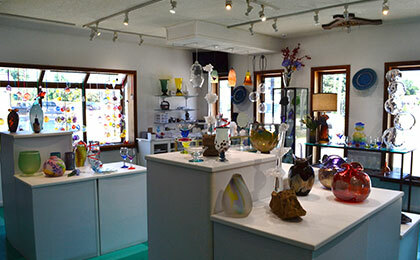 Venture just beyond Elora’s downtown, into Blown Away Glass, the hot glass studio of artists Tim and Katherine McManus. Their specialty crafted hand-blown glass is on display, showcasing a variety of designs and techniques used to create unique art pieces, including a collection of gift ideas. Visitors can experience the art in real time, watching the artists at work in the hotshop, manipulating hot glass with ancient techniques to transform molten glass at 3000 degrees into something truly exceptional. Don’t just shop – experience.